I love the super stretchy knit of the Yummy Mummy fabric. It’s designed to support your body, while creating a flattering silhouette. The 4 items in the collection are both fabulous and versatile – there’s so much that you can do with it! 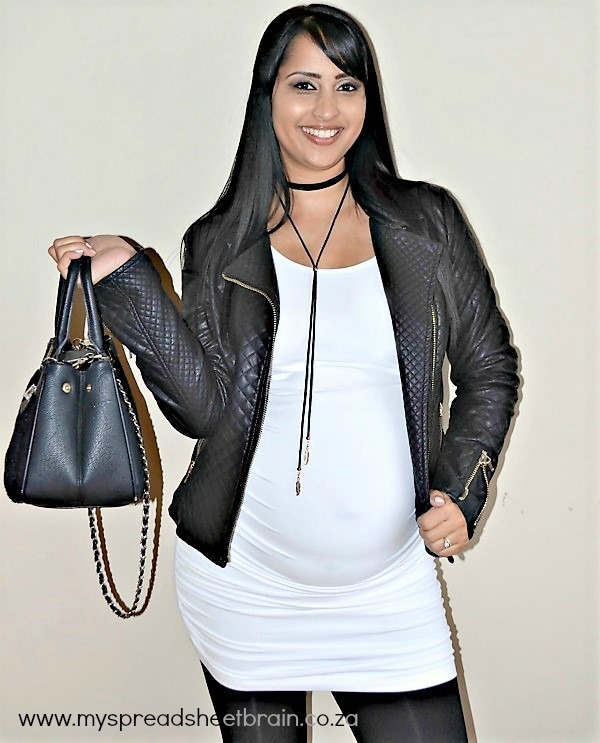 Because of my limited “fashionista” prowess, I sought the help of my very fashionable blogger friend, Styles By Yolandi, to help me put together a few looks using the Yummy Mummy Maternity capsule collection. 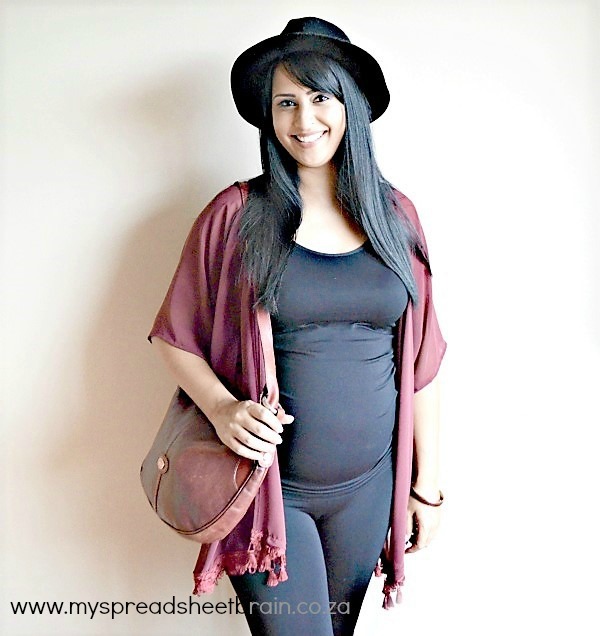 This longer length tank can be worn as a base or outer layer for any outfit. It is seam free and tag free (my sensitive skin says thank you) and it even has UV protection. I love these leggings! Leggings are a girls best friend, right? These extra length leggings are long in the leg, and can be folded up or down at the waist. It is made of thermo insulative fabric and is super stretchy, yet still maintains its shape no matter how many times you wash it. I’m a fan of this versatile dress, which can be worn as a top too! (How’s that for a score) It has a 360 degree stretch and a really pretty ruching on the side that helps to enhance your silhouette. This is definitely something that I’ll be wearing way after baby Jo is born! Belly bands are life! 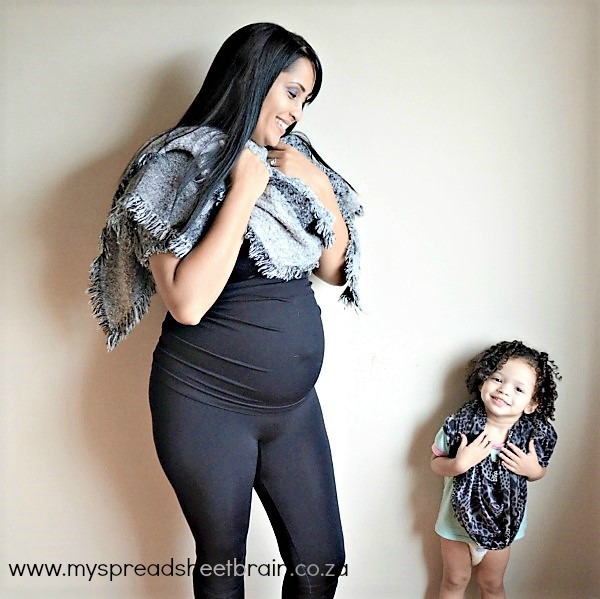 They help you to extend your pregnancy wardrobe by bridging the gap between tops and bottoms (who remembers the dreaded “nothing fits anymore!” phase) This belly band, in particular, has been designed for stretch and recovery and yep, you can probably make use of it way after baby is born (and it will still have its shape). It has a thin ribbed band at the bottom (to hold it in place) and a thicker, more gentle band at the top. I’ll be sharing more looks on my Insta and Facebook accounts, if you’re keen to see what we got up to. 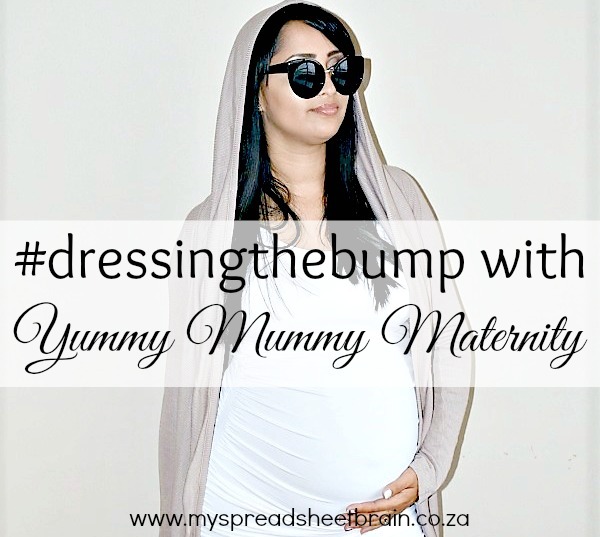 For more information on the Yummy Mummy Maternity ranges, do check out their website. You’ll spot the bodywear capsule collection over here. 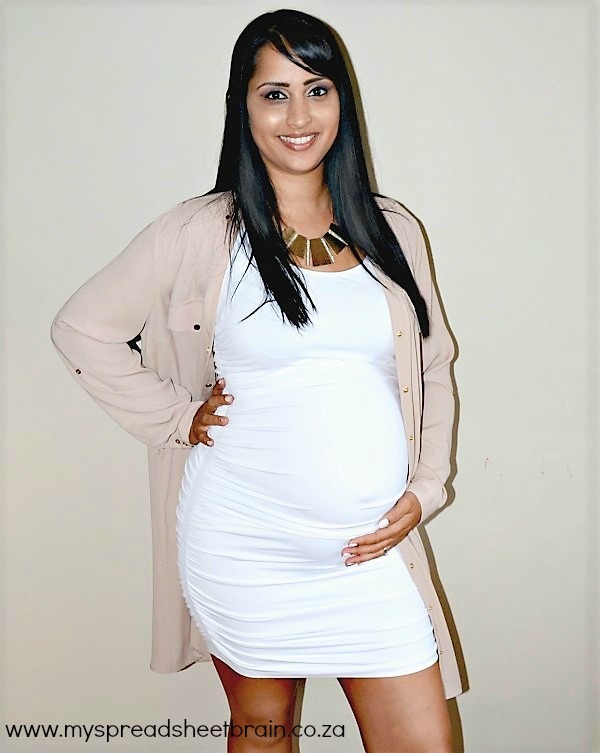 Oh and guess what, Yummy Mummy Maternity wants to give an entire capsule collection away to one of you! AACK! Simply complete the rafflecopter prompts below and keep an eye on my Facebook account on March 24th to see if you’re a winner. Makeup done by my beauty blogging bud, Ranique, of Big Mouth Entertainment. She’s legit! Her make up and beauty skills astound me! You should check out her blog over here. Photos and styling done by Yolandi of Styles By Yolandi. Landi is an exceptionally promising fashion student and an Instagram queen! (No seriously, my Instagram should take lessons from her Instagram). I desperately need to win this amazing prize! Currently just over 10 weeks with baby number 3 and I’m as big as when I was 4 months pregnant with number 2. With nothing to wear because obviously I thought number would be the last and I gave everything I had away lol! Fingers crossed!! !